Boats and ships of all kinds are particularly prone to corrosion, in particular rust, which can affect the hull, propellor, motor and other surfaces. They also suffer from crevice corrosion, which is where a crevice is formed under a deposit (such as silt or sand) or anywhere moisture can get trapped and become stagnant. Protective coating is one of the most cost-effective and efficient ways of combating corrosion on marine vessels and protects against moisture being able to interact with the boat’s surfaces, which in turn leads to degradation and corrosion. Preparing surfaces with abrasive blasting prior to coating creates an effective anchor for the coating and the right physical environment for the coating material to interact effectively with the surface. Therefore, the effective performance of a marine vessel coating very much depends on the quality of the surface preparation and so preparing the surface for a coat of anti-foul coatings is an extremely important step in maintaining a boat’s longevity and seaworthiness. 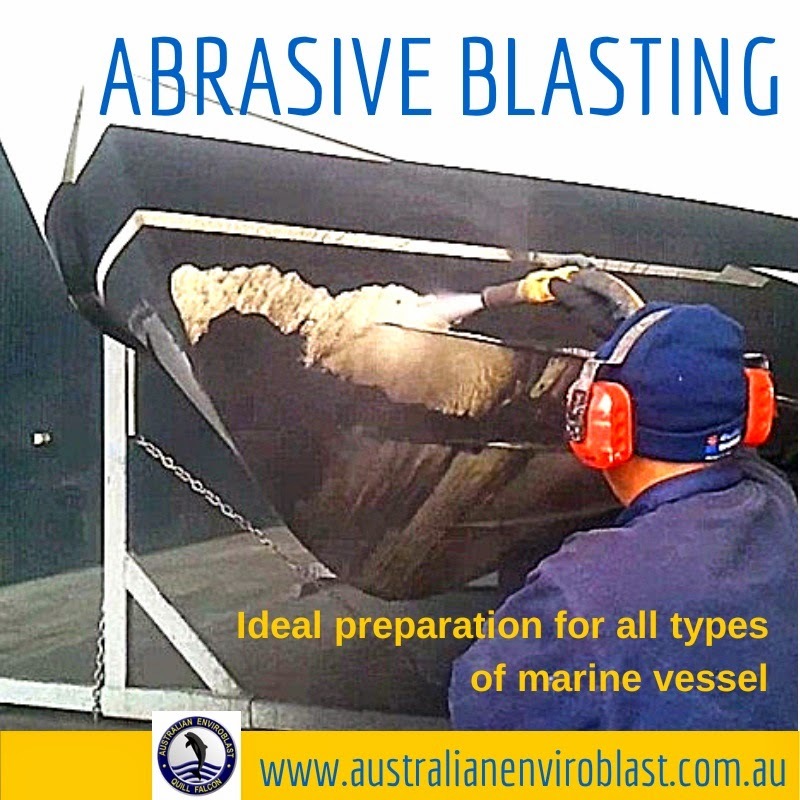 Abrasive blasting is able to treat surfaces so that they have a cleanliness and profile suitable for the type of protective coating that is to be applied.